For many of us, 大長今 Daejanggeum was an important starting point and stepping stone into the world of Korean cuisine. It created a wave of sensation all over Asia and subsequently the whole world. Together with the rich cultural and historical context it provides, Daejanggeum brought Korean cuisine onto the international platform, allowing folks all over to get to know more about Korean food like kimchi and bimbimbap. It also brought the world into Korean cuisine, getting people curious and inquisitive to try “Hansik” (Korean food) for the very first time. Despite being highly dramatised, it was quite an eye-opener even for those who claim to already know “Hansik“. It was most certainly so for me. Several things intrigue me even till today, like the use of honey with dried fruits and nuts in cuisine, something relatively unheard of in the south. Until Daejanggeum came along that is. The show also popularised the Korean cuisine all over the world, with Korean restaurants springing up in Singapore in quick successions following the show. Now we even have a “Korean food street” in Singapore, in the Tanjong Pagar area which is dotted with many Korean restaurants. Korean supermarkets also became in increasingly common sight with various chains operating in Singapore making it really convenient for those wanna try preparing Korean cuisine at home. For me, Korean cuisine presents a world of extremes. It could be something as plain as a bowl of clear soup with beansprouts and tofu， yet at the same time, it could be something with far more “wow!” factor like swallowing live octopuses dipped in kimchi sauce or feasting on the unthinkably bizarre and exotic. 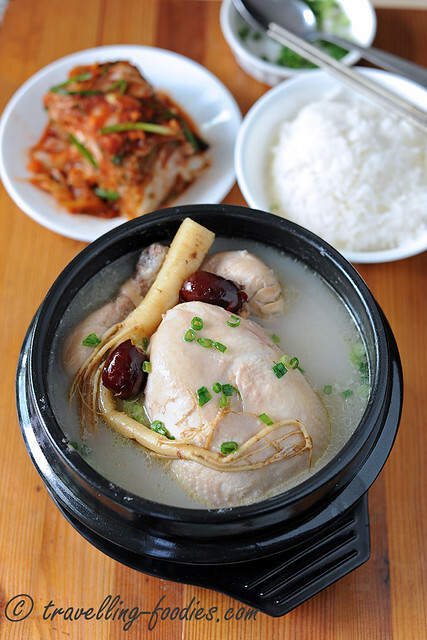 This seeming clash dietary habits bewilder many but is perpetual not only in the culinary cultures in Korea and many others around the world.